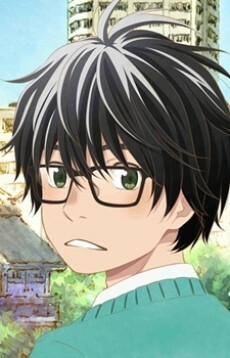 The protagonist of the series. 17 years old. A five dan, Rei became a professional shōgi player while in middle school. His parents and sister died in a traffic accident, and after that he was taken care of by his father's friend Kōda and became his apprentice in shōgi. After becoming a professional shōgi player and after completing middle school, he became independent of him and decided not to attend high school. After feeling a "need" to attend school however, Rei later joined a high school after a one-year delay. He lives in the city of Rokugatsu-chō (June town).